Fashion Friday's regular edition is back ! 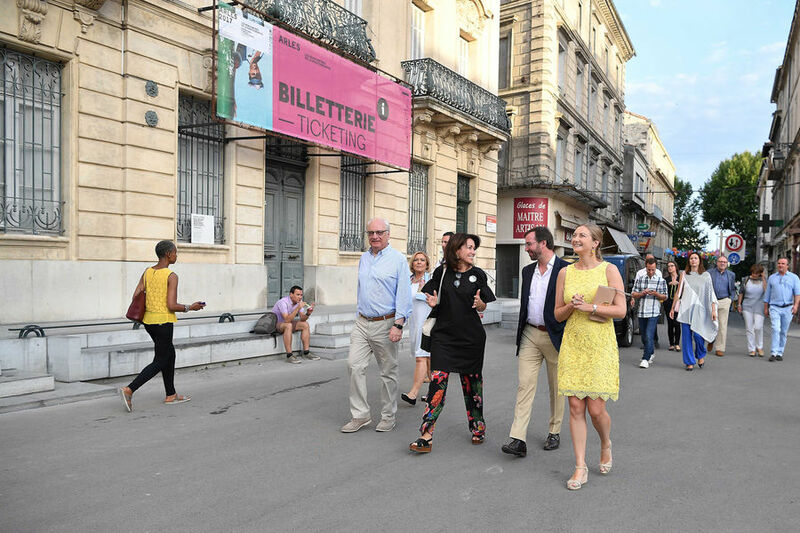 Except for the wedding of Princess Marie-Gabrielle of Nassau, there wasn't enough events to do an interesting post so we waited until today! We're starting this edition with a few old finds for Hereditary Grand Duchess Stephanie with thanks to my co-editor at UFONoMore , Sarah. On July 7th, Hereditary Grand Duke Guillaume and Hereditary Grand Duchess Stephanie were in Arles,France to attend "Les Rencontres de la Photographie".She wore a yellow lace Ralph Lauren dress with her Sergio Rossi clutch and her favorite Castaner wedges. While looking for this Ralph Lauren dress, Sarah found two other Ralph Lauren dress for Stephanie ! She wore both dresses in July 2016, the blue lace one during a visit to MUDAM and the floral printed one in Poland. Sarah also found the white cape top Stephanie wore in Venice last May ! 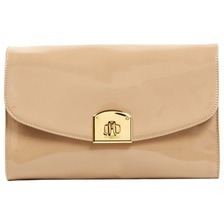 It is by French brand Maje. 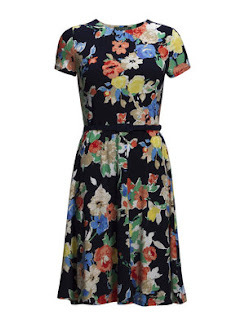 Stephanie first wore the top in May 2016. 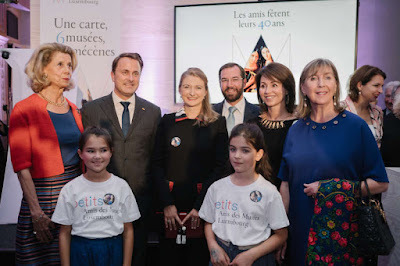 On September 16th, Hereditary Grand Duke Guillaume and Hereditary Grand Duchess Stephanie attended a reception for Friends of the Museum. She wore a black jacket with red , navy and white collar and pockets that she first wore in Dubai but it is still unidentified. She carried the same Paule Ka she had carried back in Dubai. 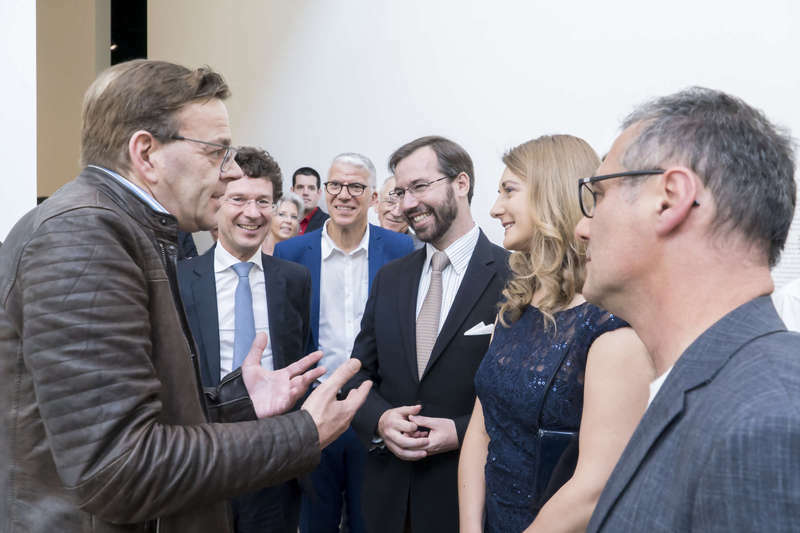 On September 26th, Hereditary Grand Duke Guillaume and Hereditary Grand Duchess Stephanie attended the Young Belgian Strings concert. 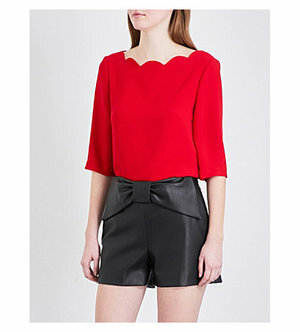 She wore a red Claudie Pierlot top with a black clutch, black pants and red shoes. Unfortunately, the photos not great so I can't identify the rest of her outfit. 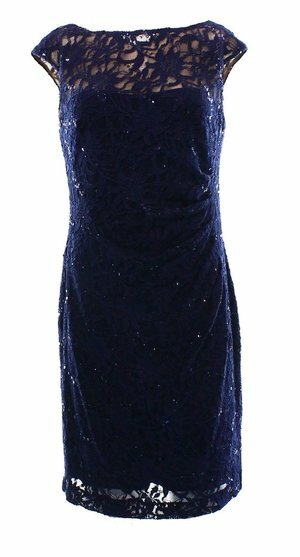 Hereditary Grand Duchess Stephanie wore a new dress that has the same design as the dress she wore during the closing of the Octave so it's definitely from the same brand but I haven't been able to find it yet. 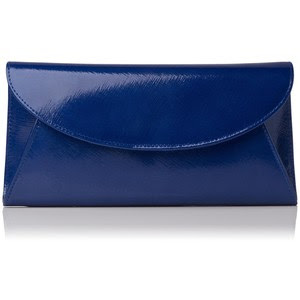 She carried a new blue clutch with her Natan grey pumps. 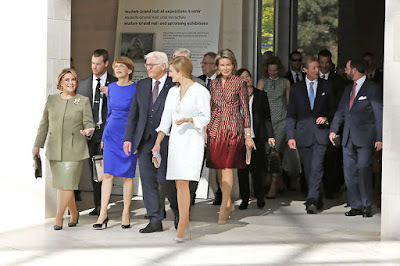 On September 28th, Hereditary Grand Duchess Stephanie wore a dress first worn last year (which is believe to be from Natan) with a LK Bennett blue bag during a visit with Hereditary Grand Duke Guillaume to a German-Luxembourgish school. What did you think of these outfits ? Don't hesitate to share if you identify one of the pieces that we couldn't identify! We'll be back in two weeks. 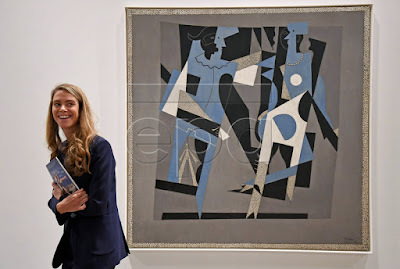 A week and a day ago, Princess Anunciata, niece of both the Grand Duke of Luxembourg and the Prince of Liechtenstein, attended the preview of an art exhibition to celebrate the centennial of Pablo Picasso's trip to Italy in 1917 with friend Jean Cocteau at Rome's Scuderie del Quirinale. The exhibition entitled "Picasso: Between Cubism and Classicism, 1915-1925" was curated by Princess Anunciata together with Olivier Berggruen. 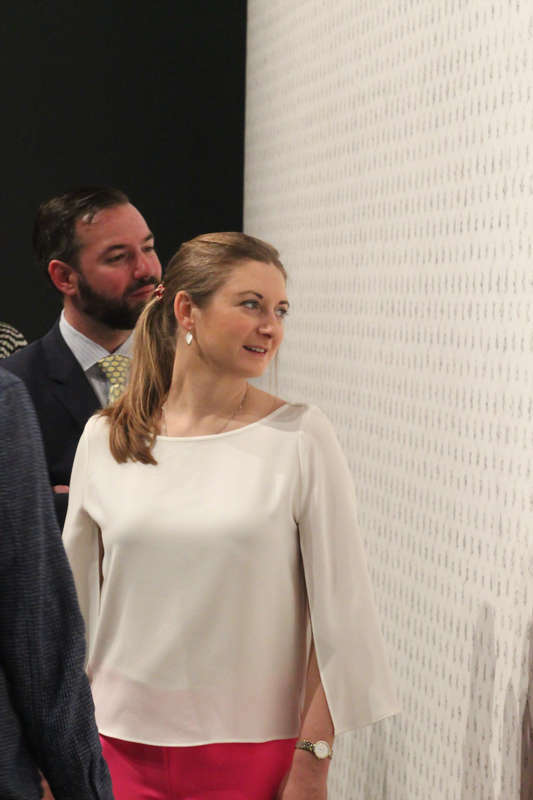 More information on the exhibition, which will run till January 22 of next year, is available here. 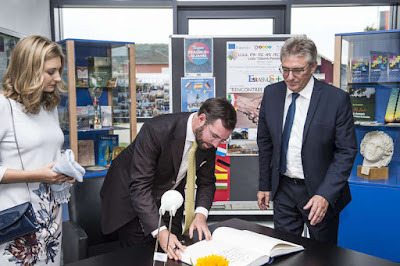 Yesterday afternoon, Hereditary Grand Duke Guillaume and Hereditary Grand Duchess Stéphanie were on hand to celebrate the 10th anniversary of the Deutsch-Luxemburgisches Schengen-Lyzeum (German-Luxembourgish Schengen-School). The couple as well as the Minister-President of the German state of Saarland attended an academic session in Perl, Germany, where the school is located. The school, which has about 800 students, is jointly rund by the Grand Duchy and its neighbouring German state of Saarland. The secondary school is also attended by students from France and another German state, Rhineland-Palatinate. No pictures as of yet but we will add them if any become available. More pictures at the cour. Earlier today, Grand Duchess Maria Teresa assisted at the opening of the Centre Gil Huyberechts, a group home for people with autism spectrum disorders (ASD's) in Rambrouch. It is the second facility of its kind in Luxembourg and run by the Fondation Autisme Luxembourg. The foundation invested about five million euros in the new centre accommodating the special needs of people with different forms of autism also including facilities for various leisure time activities. Wort offers both more information and pictures, RTL has a video. On October 1, Luxembourg's army will have a new chief of staff. 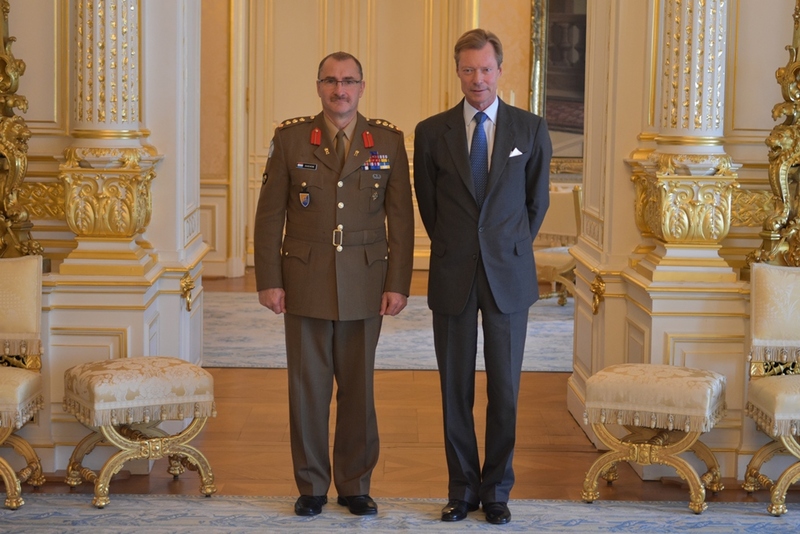 Already today, Grand Duke Henri received both the outgoing Chief of General Staff General Romain Mancinelli, who will serve until September 30, and his successor Alain Duschène at the palais for an audience. 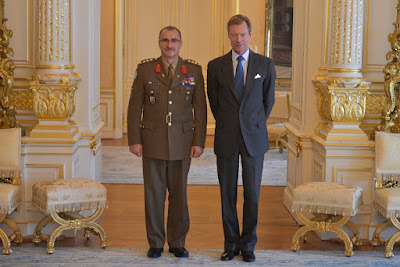 Future General Duschène (pictured above) was nominated earlier this year in March for his new post by the Ministry of Defense after consultations with the Grand Duke, who, of course, is Luxembourg's head of the army. On the 26th, Hereditary Grand Duke Guillaume and Hereditary Grand Duchess Stéphanie were at the Philharmonie to attend a Young Belgian Strings concert. The event showcased the performances of 21 musicians selected from the Royal Conservatories and Music Schools of Belgium. The concert included music from Bartok, Mozart, Mendelssohn, and Tchaikovsky. 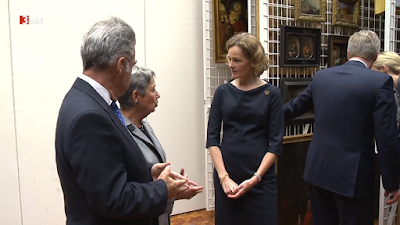 The Hereditary Grand Duchess is a patron of Young Belgian Strings, which seeks to inspire in young people a love for classical music. No photos of the Hereditary Grand Ducal couple just yet, although you can see a couple of photos of the performers from their Facebook page. Scratch the first part, you can find two visuals at the cour. The 14th gathering of the German-speaking Heads of State included a number of events that blended work with cultural activities in Luxembourg. Attendees got started with several working meetings that focused on a number of issues including immigration and integration. Professors from the University of Luxembourg were there, along with Luxembourg writers Pol Greisch, Alexandra Fixmer, and Guy Helminger. The spouses had the opportunity to learn more about the Institut européen des itinéraires culturels, which is based at the Abbaye de Neumünster. Attendees then had lunch at the Palais grand-ducal;. 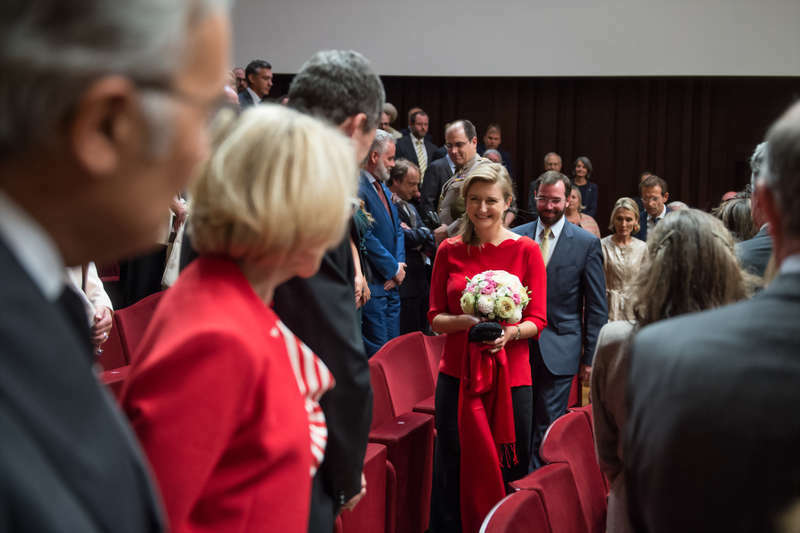 Also joining them were Hereditary Grand Duke and Hereditary Grand Duchess Stéphanie, in addition to Prime Minister Xavier Bettel, Foreign Minister Jean Asselborn, and President of the Chambre des Députés Mars Di Bartolomeo. 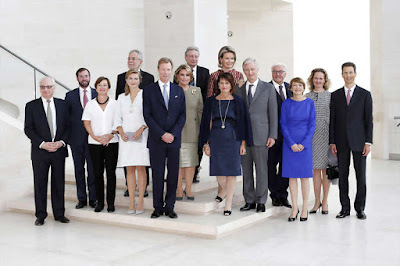 The final events for the gathering included a visit to the Philharmonie and the Musée d'art moderne Grand-Duc Jean (Mudam), followed by a reception. The next meeting of the German-speaking Heads of State is expected to take place in Switzerland. On the 27th, Grand Duke Henri and Grand Duchess Maria Teresa hosted the 14th meeting of the Heads of State for German-speaking countries. This is the first such meeting in Luxembourg and also the Grand Duchess's first attendance at the gathering for German-speaking Heads of State. Last year's meeting was hosted by King Philippe and Queen Mathilde in Eupen, Belgium. (For a link with previous years, see here.) The original group of Heads of State included those from Austria, Germany, Liechtenstein, and Switzerland, with Belgium and Luxembourg invited only in the last few years. 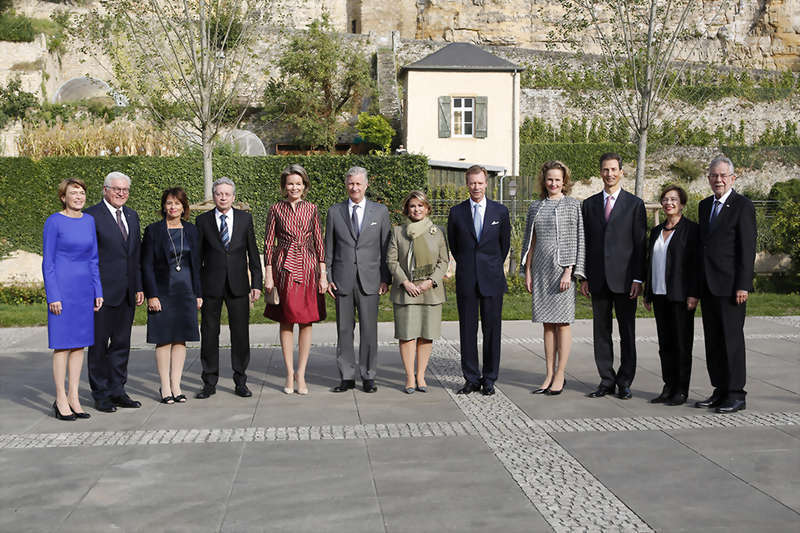 This gathering of the German-speaking Heads of State was held at the Centre Culturel de Rencontre Abbaye de Neumünster (CCRN) in Luxembourg City. Also present for the event were: Frank-Walter Steinmeier, President of the Federal Republic of Germany, with his wife Elke Büdenbender; Alexander Van der Bellen, Federal President of the Republic of Austria, with his wife Doris Schmidauer; Doris Leuthard, President of the the Swiss Confederation, with her husband Roland Hausin; Hereditary Prince Alois and Hereditary Princess Sophie of Liechtenstein; and King Philippe and Queen Mathilde of the Belgians. Hereditary Grand Duke Guillaume and Hereditary Grand Duchess Stéphanie were also present for part of the events. The day's event began with a welcoming ceremony, followed by a number of programs that the attendees participated in afterwards. More photos at the Cour website and here as well, at Wort, and at Tageblatt.